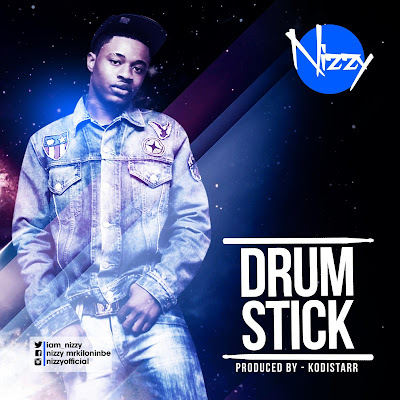 After a short hiatus from the Nigerian music scene, UK-based AfroPop/Afrobeats crooner and songwriter Nizzy is back in the limelight with his excellent new single ‘Drumstick’ and a brilliant new music video to accompany it, for our viewing pleasure. Shot and directed by critically acclaimed UK directors Chas Appeti and Simon Dewey, the music video for ‘Drumstick’ is an infectious Summery affair shot across the backdrops of the city of London brings the organic Caribbean/Reggae feel of the single further to life. Produced by Kodistarr - who has previously worked with Stylo G and Sneakbo - and co-produced by QH, ‘Drumstick’ is a smashing Summer single its lush synths, commanding drums patterns, glorious horns section and Dancehall flavour, over which Nizzy exhibits show-stopping delivery, flow and vocal cadence like the rising star that he is. You will surely remember Nizzy from his previous collaborations with the likes of YQ, JJC, Bigiano, Mo Eazy and Chocolate City's First Lady Pryse among others as well as his 2012 hit single ‘Let Go’ and ‘Ki Lo Ni Gbe’, Nizzy has resurfaced in 2013 with a monster of a single that is sure to leave many tastemakers, fans and critics in awe and hitting that replay button over and over again.